While retargeting campaigns have proven to really improve the chances of lost prospects coming back to your site, you need a sound strategy to truly drive web traffic. Web marketing analytics reveal that a nuanced, advanced audience segmentation procedure can help you capitalize on your retargeting campaign. 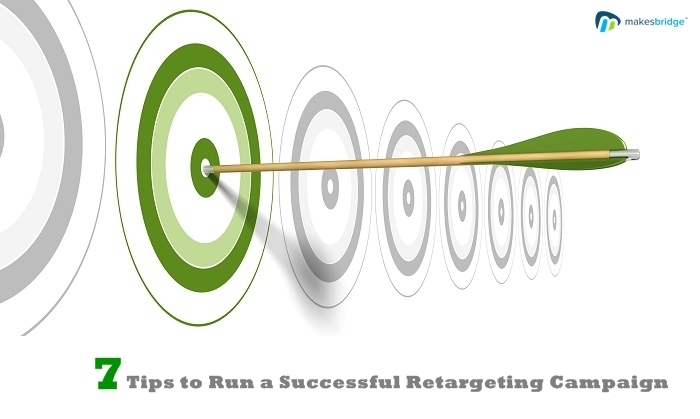 While running retargeting campaigns can be very exciting, there are diverse tips you can actualize to maximize the success and ROI of such campaigns. We’ve outlined some of the best campaign hacks below. By segmenting your audience, users can separate their visitors into small groups depending on behavior on the site. Much like lead scoring, visitors can be bucketed into distinctive levels of sales willingness as per the certain web pages they have gone to. With this information close by, you can then make more ideal ad experiences by highlighting the products or services these particular groups had previously seen and directing them back to pages they went to. Set up parameters that segment the clients who connect with your brand online into important categories. There are two basic ways you can segment your audience: By their position in the sales cycle, and by interests depending on the pages visited. To section as per the sales cycle, you may need to serve varied advertisements to users who have just checked your site and users who have abandoned shopping carts. If you want to segment by interest, you may serve varied advertisements to your visitors depending on the products or services that they have seen on your site. Did you ever feel that advertisements are pursuing you around the internet and simply refuse to give up? Do you find it disturbing? Assuming this is the case, then your potential clients will presumably find it annoying as well. Most retargeting platforms let you limit the amount of times your advertisements are shown to someone. While frequency caps expect to control the quantity of impressions a visitor experiences for the duration of the day, week, or month, campaign duration concentrates particularly on the lifespan of the cookie. When you set a duration for your retargeting campaign, you’re basically making a sign to destroy the treat cookie that predefined time. Starting here on, visitors will never again be served up ads. You can also use some email marketing platform to your advantage and start drip campaigns. Reading the prospect behavior, craft some glowing content and target hot destinations. Display advertisements on sites are among the best ways for retargeting your website visitors as they give you the freedom to use animations, pictures and call-to-actions to make truly effective promotions. In any case, you might also need to consider the use of different channels to run retargeting campaigns; for example, social media channels like Facebook and Twitter. If your product or service just needs a one-time buy (or you simply would prefer not to waste your budget on a visitor you’ve already converted successfully), you’ll need to use a burn pixel. Basically, a burn pixel is a line of code that lives on the “post-transaction” page. When a visitor lands there, they are marked as so and will quit being served promotions. Your segmented retargeting campaigns are designed to speak specifically to the changing needs and needs of diverse groups. However, you need to make sure that they work the same way. Also, your campaigns must figure out where your web traffic goes, making it simple for your users to arrive at the most relevant destination on your webpage. Instead of your segmented advertisements prompting your landing page, every client must be sent to the relevant subpage. For instance, an ad for moving truck rentals must lead straight to the page where clients can reserve a truck on your website.